In a world that is increasingly and stridently demanding qualifications for nearly every imaginable job, writing remains a job in which ability and experience on their own can get you published; but you need to be patient. A CV (curriculum vitae), or a resume, is as helpful for a writer as for any other job application. However, writers need to think differently about a CV for this career than for others because qualifications take second place to a demonstrable writing ability. 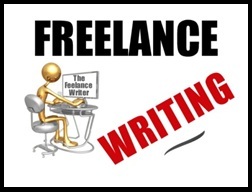 Regardless of whether or not you've ever been published before, your writing IS your CV. Samples of your writing will demonstrate your talent much more effectively than any letters after your name. Write well enough, and a publisher might not even ask about qualifications. After all, there are young authors who clearly haven't got that far yet. This doesn't mean that qualifications and writing courses won't benefit you, but your talent is still shown most clearly in your work, not in the degree you obtained. For a CV, that's what counts. I've got a few framed certificates on my wall for some writing courses I completed some years ago. When I first got them, I photocopied them, thinking I might need to show them to prospective editors or publishers. I've never needed to. I have, a few times, visited an editor and discussed my writing. Showing a few samples was helpful, but my lack of academically acquired qualifications was no impediment to me. Could I write? That was what the editor wanted to know. As I said above, your writing IS your CV. What do I mean? Your first point of contact with an editor or publisher is likely to be a letter written by you. This will be either to simply introduce yourself, or - more likely - to also suggest an idea for a story, article or book that may be of interest to that publication. This is where your talent needs to really shine! No sloppy punctuation and poor spelling here. Labour over such letters. Your future work for this publication will depend on it. What editor is going to want to accept writing from someone who can't even compose a decent sentence? Secondly, samples of published writing will be the next most valuable part of your 'CV'. I have found my website to be invaluable for this, as I have some samples of my published work on a page on my website, and have simply included the name of my website and the name of the page they can be found on my letter, and left it to the editor to look at them in his or her own time. And yes, they do look. If you don't have a website, you could include some scanned copies of published articles as attachments, or offer to send some if required. Of course, if you don't yet have any work published, you can't exhibit any. In this case, you can either just omit the subject altogether and don't mention your lack; or you can mention it but in the context of why you are well qualified to write on the subject you are suggesting. Your writing CV comprises both talent and experience. Warning: patience required! Along with writing an effective writing resume, you absolutely need to edit it before sending it off. 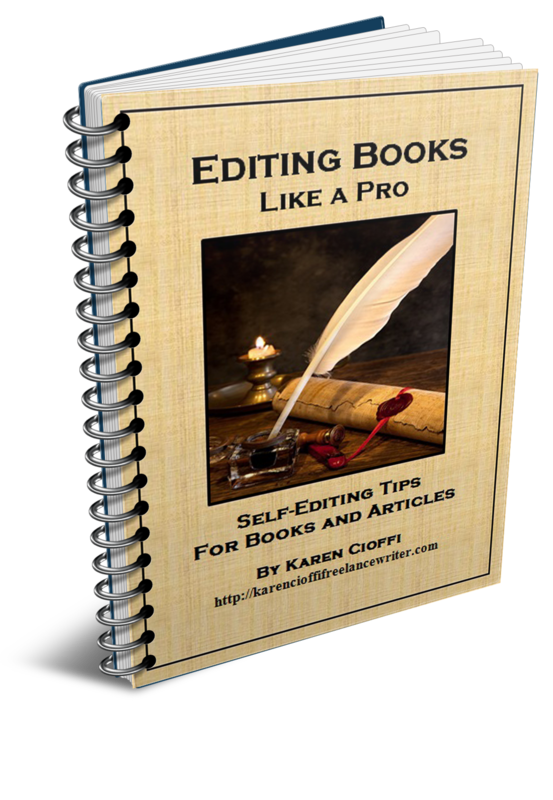 Editing Books Like a Pro is twenty-three pages of self-editing tips and tricks. This is an editing tool that you will use over and over and over. CLICK HERE to check it out!